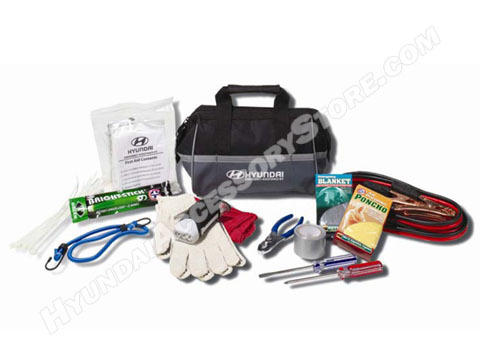 Be prepared for unexpected emergencies at any time with this roadside assistance kit. The carry bag can organize this kit and fit in a car trunk. I bought a set of mud guards to fit my new Elantra. I took them to my local Hyundai dealer and had the body shop paint them to match the paint on the car, then I installed them. They look fantastic! They look like they came with the car and is a small dress-up anyone can do. Overall cost to do this was very reasonable.